Shower hose 150 cm. Flexible, anti-folds, anti-twist, no scratches. 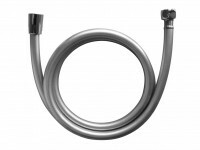 Shower hose 175 cm. Flexible, anti-folds, anti-twist, no scratches. Shower hose 200 cm. Flexible, anti-folds, anti-twist, no scratches.